Feb. 19 & 20: ‘Inequality for All’ documentary showings – panel and live webcast! 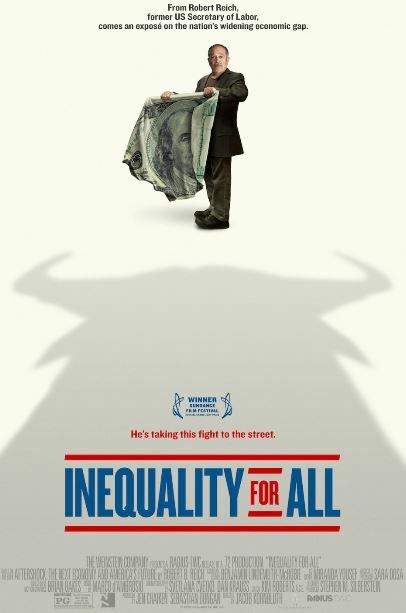 Indiana State University will join colleges and universities around the country in hosting showings of the award winning documentary “Inequality for All,” featuring Robert Reich, who served as U.S. labor secretary under President Bill Clinton. The showings are scheduled for Feb. 19 at 5:30 p.m., followed by a panel discussion with Indiana State faculty at 7 p.m., and on Feb. 20 at 7 p.m., followed by a live webcast with Reich at 8:45 p.m. 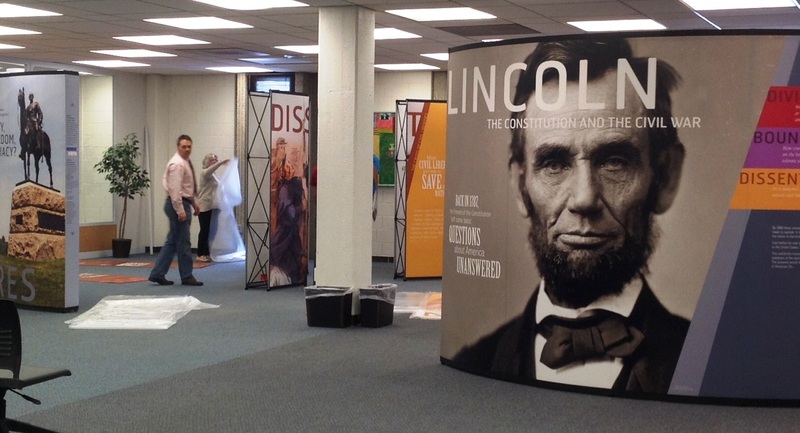 Both showings will take place in the events area of Cunningham Memorial Library. 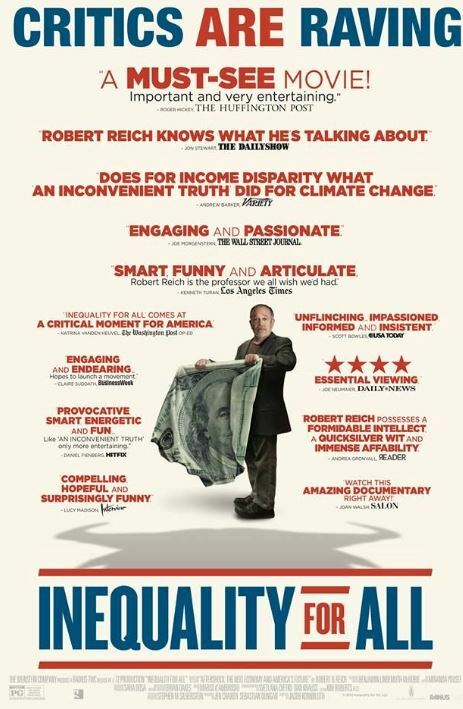 In the 2013 film, Reich addresses the growing inequality between rich and poor in America. “Inequality for All” combines biography with economic, political and historical analysis to examine the American distribution of wealth, measure the effects of concentrated wealth upon democracy and point to possible solutions within our own American past. Scheduled panelists for the Feb. 19 discussion are Lisa Phillips, associate professor of history, Paul Burkett, professor of economics, and Katie Butwin, instructor in political science. Richard Lotspeich, professor of economics, will serve as local moderator for the Feb. 20 webcast that will include a question and answer session. The presentations are sponsored by the departments of economics, political science, history and African and African American Studies; the American; Democracy Project; Office of Diversity; University College; and Cunningham Memorial Library. The annual Foreign Language Week program organized by graduate teaching assistants, visiting scholars, adjunct faculty, and international students in the Department of Languages, Literatures and Linguistics is an event designed for language classes and the community. This interactive event presents the cultures of Africa, Asia, Europe, Latin America and the Middle East. Topics vary from a look at stress reduction via treatment at a hammam (bathhouse), to sports, motivational African proverbs, zumba and more. 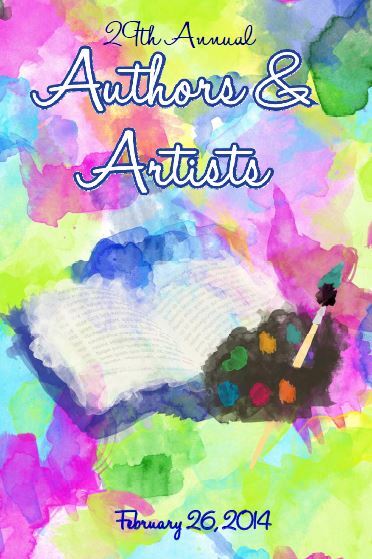 Reference/Instruction [Public Services] Karen Evans is contributing a chapter entitled “Events and Extravaganzas” to The 21st Century Library (Rowman and Littlefield/Scarecrow Press, Bradford Lee Eden, general editor). Karen has produced an impressive amount of scholarship in the last few months. In addition to the above, her bibliographic essay “Beauty and the Beast: Violence in the Lives of Women and Girls” recently appeared in Choice (December 2013, 51(4): 583-91). 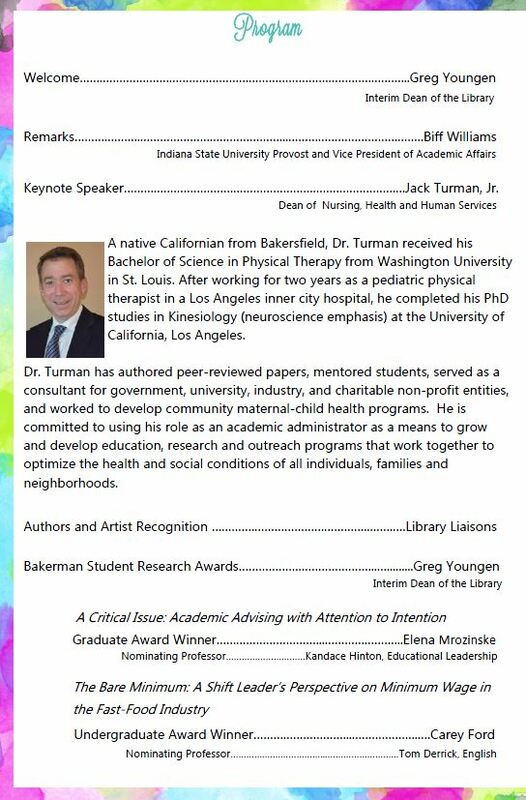 She also presented, during the fall semester, at the 2013 annual meeting of the Indiana Library Federation, and at the 2013 Brick and Click conference. A semi left North Dakota, picked up the exhibit in Wisconsin and arrived late Tuesday afternoon, in the middle of our latest snow storm. 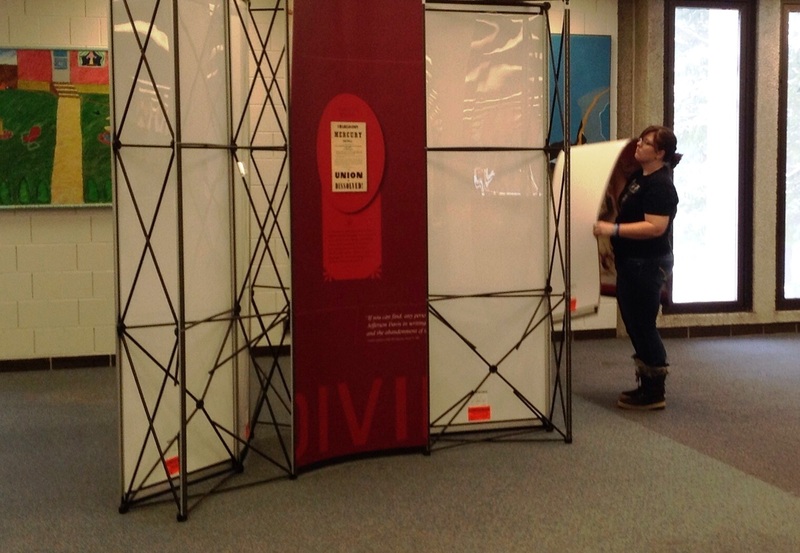 Wednesday (today), members of the Library staff, including student assistants, and Chris Olsen, Chair of the History Department, unpacked the 13 red traveling cases, 4 boxes of brochures and some banners, checked the condition of everything and then assembled the displays. The process took about 4 hours. Monday, February 3, marks the opening of Special Collections’ spring foyer exhibit, “Gaining Traction: Historic Indiana Carriage, Agricultural and Motorcar Sales Literature,” curated by Josh Stabler. 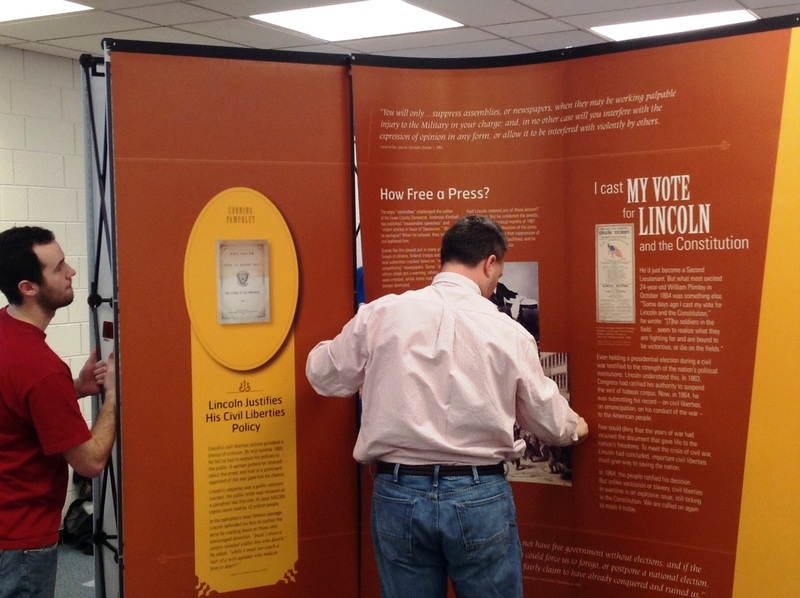 The exhibit features four cases of promotional materials produced by Hoosier manufacturers to entice buyers and boost sales in the late nineteenth and early twentieth centuries. 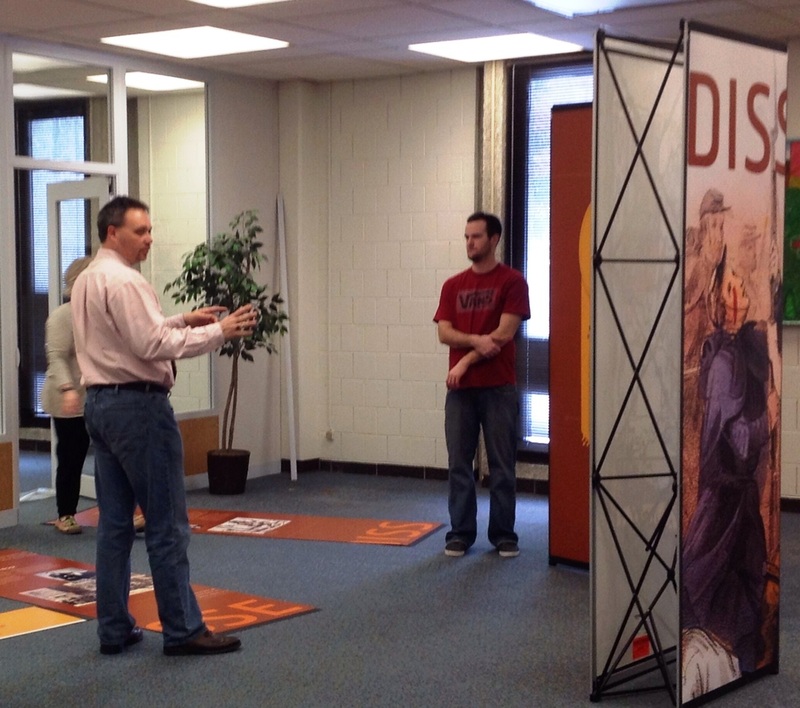 Josh selected the items on display from the department’s Indiana Collection, which includes numerous examples of business ephemera. Visitors will see advertising brochures distributed by Goshen Buggy Top and Elkhart Carriage & Harness; Apperson, Stutz and Dusenberg; and Vulcan Chill Plows and Rumley Tractors among others. 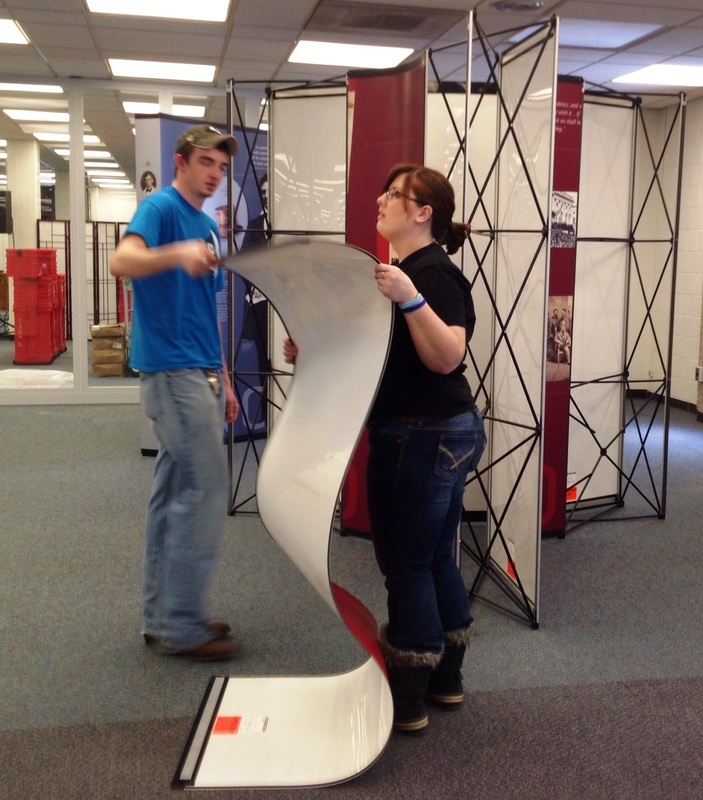 Providing a glimpse into a time when Indiana was an industry leader in wheeled conveyances, the exhibit is open to the public Monday through Friday from 8:00 a.m. to 5:00 p.m. 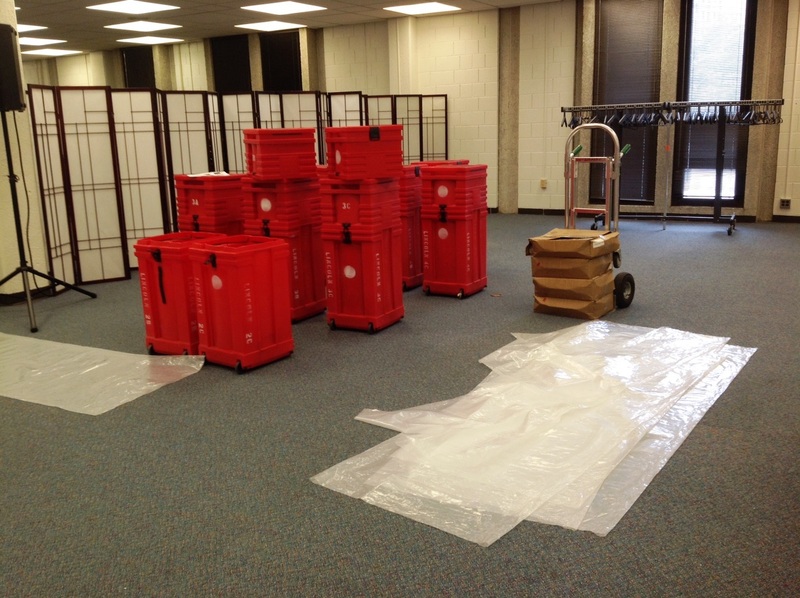 Entrance is through the Special Collections Foyer through April 30. Feminist Majority, the student group affiliated with Women’s Studies, is holding a $.77 Bake Sale on February 5th from noon to 4pm in the lobby of the Library. The $.77 Bake Sale draws attention to gender wage inequality in America, where, according to the latest figures, women make only $.77 for every $1.00 that men make. So, at this sale, women can spend $.77 for a cookie or brownie that would cost men $1.00. This sale also welcomes Lilly Ledbetter to ISU. As part of the University Speaker Series, Ledbetter will be speaking about her experiences with wage discrimination at Goodyear, the passing of the Lilly Ledbetter Fair Pay Act and the next steps toward workplace equality. Ledbetter speaks at Tilson Auditorium at 7pm. on February 5th. Proceeds from the $.77 Bake Sale will go to the Women of ISU Scholarship. This scholarship directly addresses women’s wage earning potential by supporting non-traditional women students here at ISU.